Dowco provides 3D structural modeling and steel detailing services for medium to large construction projects (large scale and highly complex projects being their specialty) requiring structural steel, miscellaneous steel, and plate work. Services include: Shop drawings, 3D modeling, connection design, project management, model and drawing checking and BIM Coordination. Dowco’s experienced teams work to both imperial and metric standards. All work complies with AISC and CISC requirements and staff consult closely with clients to ensure that o their detailing standards are adhered to. Dowco are strong proponents of steel detailers working directly for, and or, with the Structural Engineer, or General Contractor during the design and tender stage. Such an approach eliminates double handling, and reduces the number of RFI’s (requests for information) later in the project. Having detailed drawings and material reports available at the bid stage serves to reduce the risk for steel fabricators, and allows them to order material and start fabrication as soon as the contract is awarded. Dowco offers a full connection design service, including sealed designs via a select few sub-contractors who specialize in connection design. To expedite the process, Dowco works directly with the connection designer to ensure that connections meet client requirements and can be easily implemented in Tekla Structures for steel detailing. Many of today’s complex structures are incredibly hard to visualize. Sketches help the designer to decide the aesthetics of a structure, but often the only way to accurately position the structural elements is to create a 3D model of the geometry. Dowco’s skilled modelers can produce a 3D stick model based on the skin of a structure and the designer’s rules, so that the design can be finalized. Producing a 3D model also benefits the fabricator and erector, enabling them to ‘walk through” the 3D model to resolve any problems. This ensures that the structure is fabricated and erected quickly, accurately, and efficiently. Dowco’s production team includes a dedicated bridge crew to make your bridge project a success. From foot bridges, highway and railway structures, essentially no bridge detailing job is too simple or too complex for the team of detailers assembled at Dowco Consultants. Combining detailing, modeling and connection design skills Dowco can deliver: 3D models; shop drawings; erection drawings; placement drawings; blocking diagrams; bills of material; FabTrol .kss and .xsr files; CNC files; CSV files; plate development details, including allowances for cutting/ burning; and center of gravity information. Dowco’s team of experienced rebar detailers utilize modern 3D technology solutions to design, model and detail reinforced concrete structures. Major benefits realized from the application of sophisticated 3D modeling tools are early detection of interferences, greater efficiency in change management, precise take-offs, material management, reduction of errors, and clearer interpretation of design drawings. Strong proponents of BIM and a multidisciplinary workflow, Dowco is keen to incorporate other stakeholders in a BIM workflow. In doing so, Dowco’s technology-centric approach simplifies details, increases productivity and facilitates integration between design, detailing and construction teams. 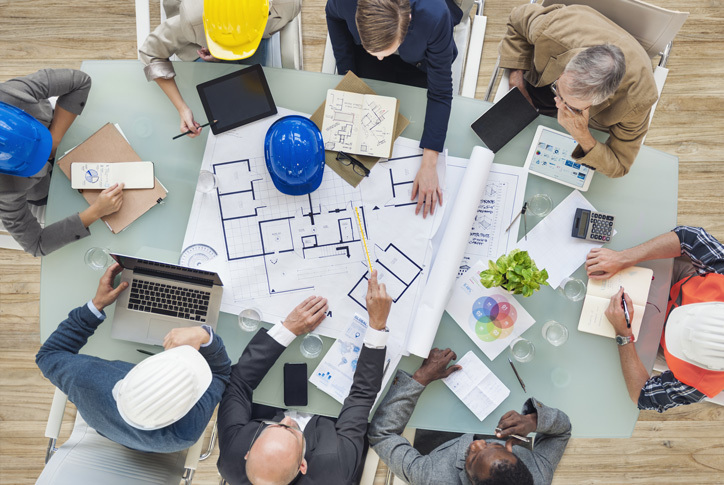 Dowco can assist Project Owners by establishing ‘best practices and workflow management’ (eg. model based approval and communication processes). By creating a 3D model of the structure early in the process it becomes possible to provide ‘advance’ material ordering lists (Field bolts, location lists, CNC data) and other Management tools to assist the Fabricator. The Dowco Group of Companies is comprised of more than 150 highly skilled, industry knowledge workers. With 44 years of steel industry and business experience, Dowco has contributed expertise and applied technology on some of the most technically challenging projects in the world. Dowco experts have assisted project owners and professionals with case material that examines whether project participants faced design and construction hurdles according to industry standards, and equipped with appropriate technology and best practices.